Warsash Spring Series kicked off today in cold and blustery conditions. 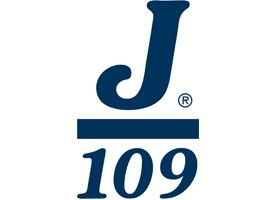 We have 9 J/109s entered for the series. We’re competing in IRC 2 under handicap, but Warsash will additionally be publishing extracted results for the J/109s on a level rating basis. This gives us an opportunity to put the new rule to the test, allowing a J/109 optimised for IRC with non-overlapping headsails to also compete on a level rating basis in a one-design fleet. The organisers have noted that a number of J/109s entered do not have current IRC ratings, so are currently being scored with a TCF of 2. So if you plan to compete, please do apply for a rating as soon as possible so the club can count your results in IRC 2. Also, don’t forget that every race you complete in the series will qualify you for an entry into the draw for the Carbonautica J/109 wheel ( https://j109uk.com/2019/01/29/carbonautica-early-season-prize-draw/ ) with the winner to be drawn at the Vice Admirals Cup in Cowes. Don’t worry if you don’t win because Carbonautica are offering a 20% discount on all orders from J/109 owners during 2019. Jiraffe and Jybe Talkin’ were the only J/109s that braved the cold conditions of the first race, but we’re pleased to say that after a bit of clarification with the race committee, a J/109 managed to top the table in IRC 2. We hope to see a few more of you out next weekend.